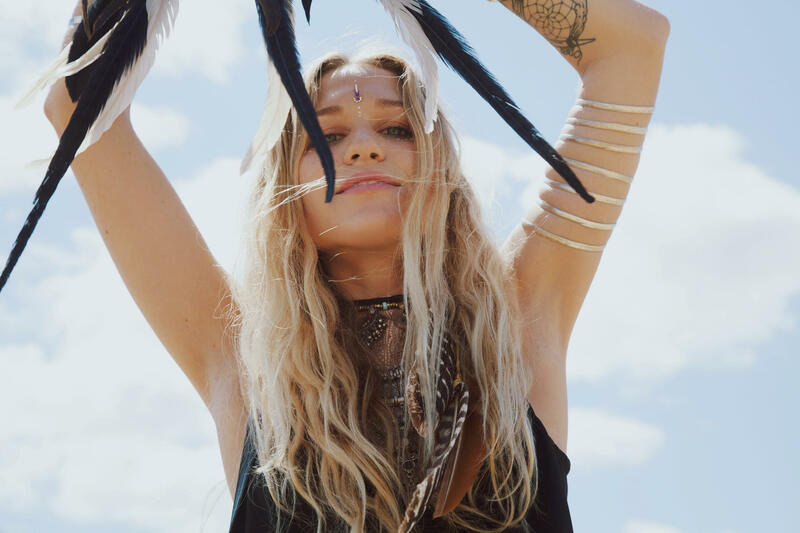 Lightning in a Bottle… oh how I love you so. I haven’t been to this festival in three years, and after finally making my way back for 2015, I can confirm that the festival has grown in many beautiful ways. 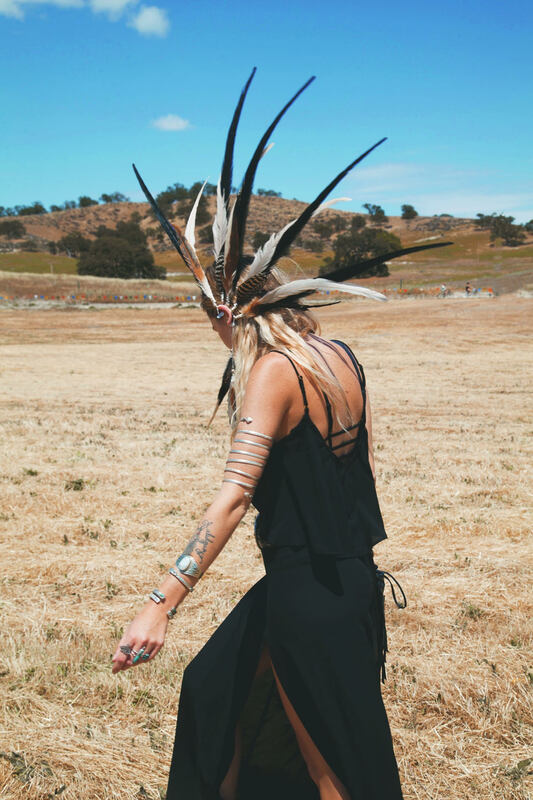 This year, I attended the festival with my gypsy sister Natascha Elisa of the In Search of Sadie Blog. We are both such busy little bees that we ended up arriving at the festival a full 24 hours later than we were anticipating. I literally dropped an order in the mailbox before we left my house Friday morning because I had so much to get done before our weekend getaway. Once we parked our car in the general parking, we wandered around the open fields before the entrance of the festival and did a mini-photoshoot. Decked out in Show Me Your Mumu. The weather that weekend was divine, and the sky was covered in these gorgeous clouds that stretched as far as the eye could see. My experience riding the shuttle into the festival grounds felt like we were entering the ream of a new culture entirely. You could hear deep beats echoing through the canyon, and see what seemed like miles and miles of tents in the dry fields, scattered over rolling hills, pitched at angles that made you think they couldn’t possibly be comfortable to sleep in… you’d probably wake up in a daze due to all the blood rushing to your head from sleeping on a fourty-five degree angle. 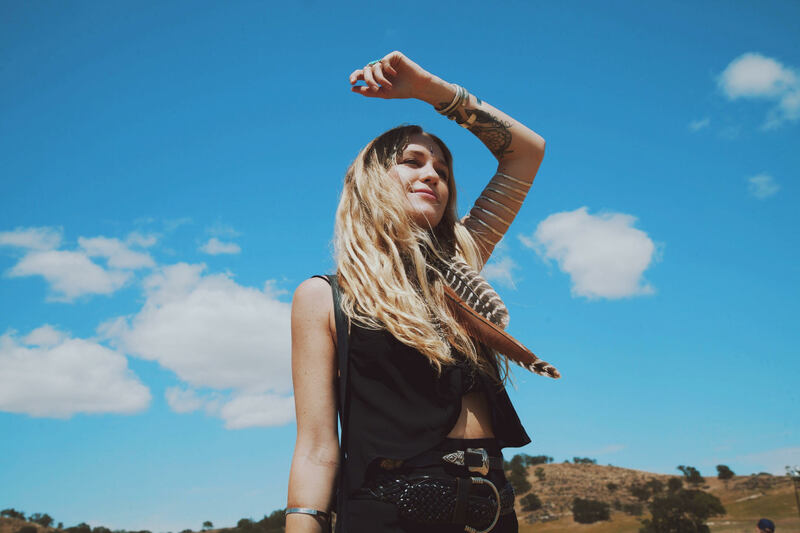 This first day was a bit of a mess, as we felt rushed since we arrived late, and because we were so eager to get inside the festival we didn’t even bother setting up our tent before heading to see Bob Moses. Despite our initial struggle however, the first day was a complete dream. 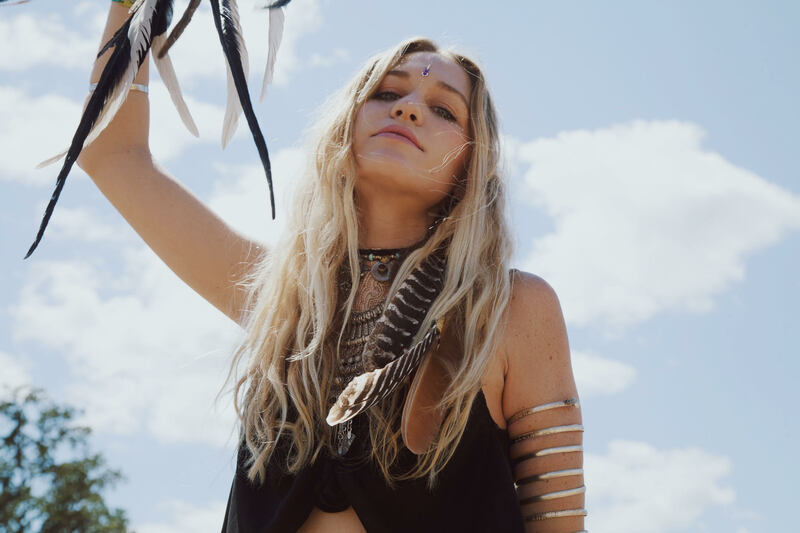 I met so many wonderful souls and fans of Wild & Free Jewelry, and it truly warmed my heart. Because I spend almost all of my time alone working, it’s a real blessing when I get to meet some of you in person. I get so excited when someone recognizes me that I want to totally break the stranger barrier and smother them in a huge hug. 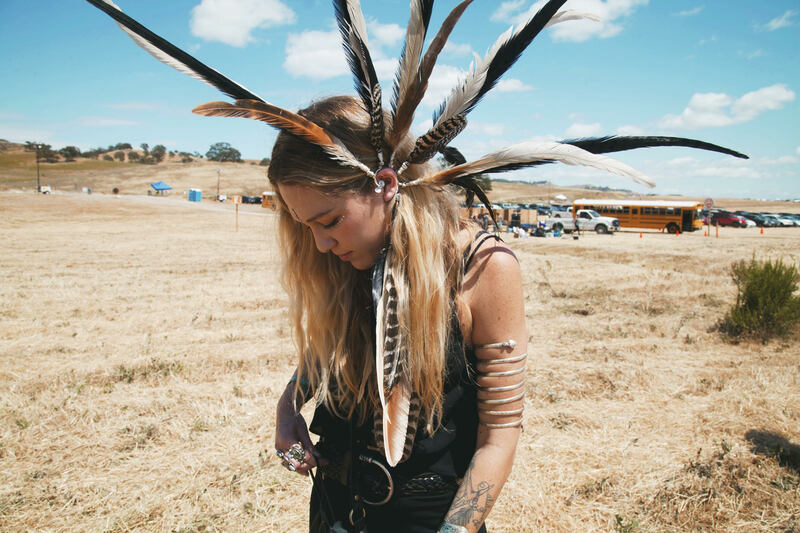 Lightning in a Bottle must be a magnet for fans of Wild & Free because I’ve never been recognized openly so many times at a festival. That first day I was all smiles, which isn’t that unusual if you know me… but they were the biggest, most genuine smiles, as the love I was feeling from everyone went deep down to my core, and when I think about it, I can still feel the happiness the experience brought to my life. When I go to a festival I feel like I’m around my true family. I look around, and see everyone smiling, listening to the music, and I feel so at home. I think the human tendency to celebrate life through music and ceremony is one of our most genuine and unique traits. When people of all different cultures, from all around the world, come to a festival to join in one celebration, I can’t help but feel happy. It’s one of those rare times where people set aside their differences and unite to share an experience focused on one common goal. 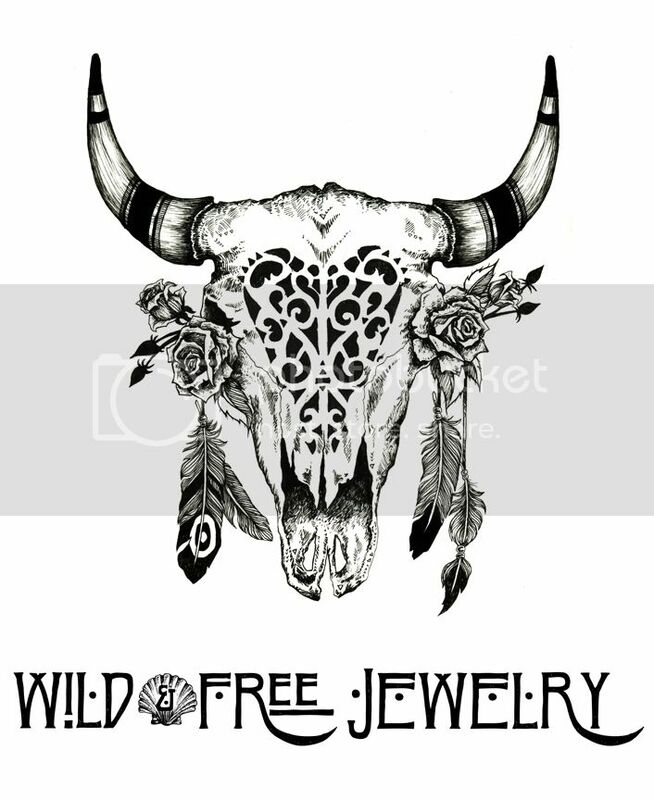 I was thinking about this concept a ton while I was at Lightning in a Bottle, and it just reconfirmed that the avenue I want to pursue with Wild & Free Jewelry and the Wild & Free Blog is festival style. I think this culture is taking on a new life, and I 100% support the movement. A HUGE thank you to Show Me Your Mumu for completing our festival outfits on the first day. We adore you! 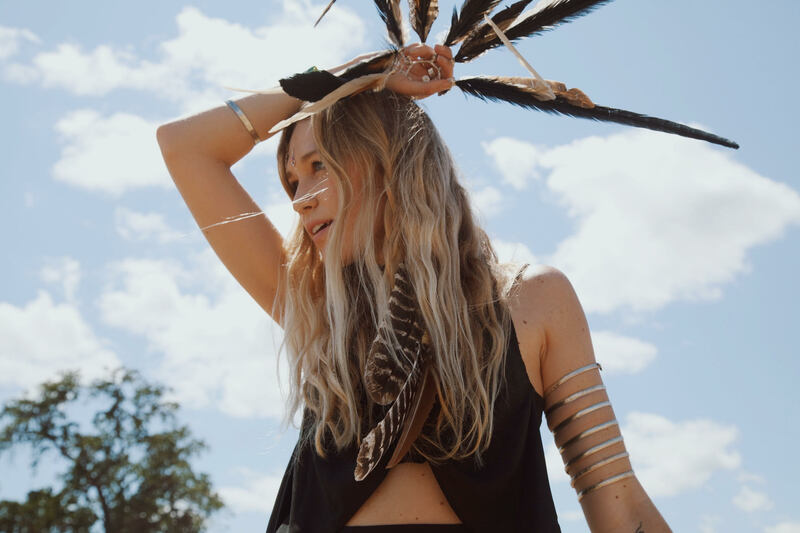 Posted in the wild & free blog and tagged bahgsu jewels, corina brown, ladies of paradise, LIB, libfestival, lightning in a bottle, show me your mumu, spirit tribe, wild and free, wild and free blog, wild and free jewelry. Bookmark the permalink.